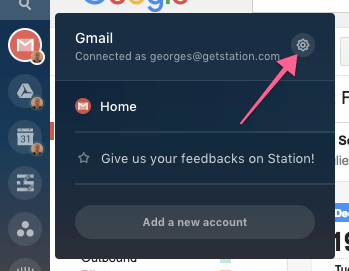 How do I remove an application from my Station? Hover on the app's icon and click on the gear on the top-left corner of the sub-dock. Un-toggle each account or click on the "remove application" button. We're going to improve this specific design element in the next release as quite a few users seem dissatisfied with it.